HIV clinic in Mozambique. Photo by Talea Miller. Every time an HIV clinic tells a patient to come back for more testing or for laboratory results there is a risk the patient will never return. This happens so frequently in sub-Saharan Africa, where more than 50 percent of HIV-positive patients drop out of programs before starting treatment, it has it’s own terminology: lost to follow-up. With the use of new rapid test kits — which measure immune system health without having to send samples off site to laboratories and waiting for results — researchers in Mozambique nearly doubled treatment enrollment and cut the number of patients lost almost in half. Total patient drop out rates before beginning treatment fell from 64 percent to 33 percent, according to results published this week on the Lancet website. The total proportion of patients who initiated antiretroviral therapy treatment increased from 12 percent to 22 percent. The rapid kits measure levels of CD4 cells, which are a type of white blood cell important to the function of the immune system, within a matter of minutes. As HIV attacks the body, CD4 cell counts drop so these readings are used to gauge when a patient should begin HIV treatment. “Before the introduction of point-of-care CD4 tests, to obtain a CD4 result involved several steps each with delays,” the authors from the Mozambique Instituto Nacional de SÃ¡ude and the Clinton Health Access Initiative wrote. The process took an average of 10 days. Use of the rapid tests cuts the number of visits a patient will have to make to a clinic, a major barrier when considering care for people who may have to walk long distances to reach a health facility. The rapid tests also cut the time between when a patient enrolls in a treatment program and when he or she starts the medication from 48 days to 20 days. Health workers don’t start patients on medication until their CD4 counts fall below a certain level. The rapid tests allowed that level to be identified more quickly, and patients then promptly received medication. Patients who start treatment earlier have a better chance of survival, so the authors emphasized that wider use of rapid testing could help reduce “one of the largest causes of HIV-related mortality”: delayed treatment. 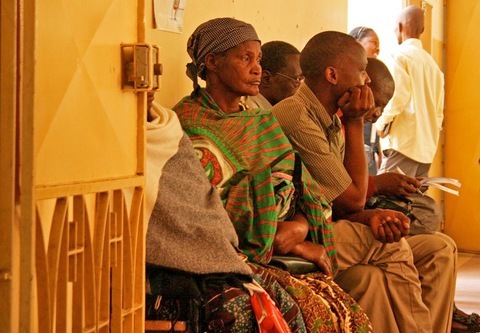 The study did not follow patients through their first year of treatment, however, and sustaining patient involvement in treatment programs year after year is another challenge for health workers across sub-Saharan Africa.